By the thousands they streamed to Yanuh-Jat, Israelis of every description making their way on Wednesday to the remote northern Galilee district, where a fallen hero was to be buried with full honors. Israel's president, Reuven Rivlin, was there to pay his respects; so were the minister of internal security and the nation's top police commissioner. From around the country, hundreds of black-hatted haredi ("ultra-Orthodox") Jews came on chartered buses, disembarking to join throngs of Arabic-speaking Druze in traditional white turbans, police officers in dress blues, and so many other mourners that even the roofs of nearby homes were crowded with onlookers. They had come to bid farewell to Zidan Saif, the Druze police officer who was the first responder on the scene of Tuesday's massacre at a synagogue in Jerusalem. Saif had put himself between the terrorists and the worshipers, taking a bullet in the head and dying of his wounds that night. Befitting a defender who had died in the line of duty, his coffin was draped with Israel's flag, its blue Star of David prominently centered. Like many of the Jewish state's loyal sons and heroes, Saif wasn't Jewish. That didn't make him any less an Israeli, just as Israel's sizeable Arab and non-Jewish minorities don't make it any less the sovereign Jewish homeland. Nor did it diminish even slightly the honor and gratitude Israelis across the spectrum expressed for the slain officer. In his eulogy, Israel's president extolled Saif as "one of the first guardians of Jerusalem." A rabbi from the Jerusalem synagogue where the bloodbath had occurred told residents of the village he had come "simply to be with you and to cry with you," and called the "devotion and the determination" of the 30-year-old patrolman "an example to us all." There have always been pessimists convinced that Israel's multiethnic Jewish democracy is doomed to fail. 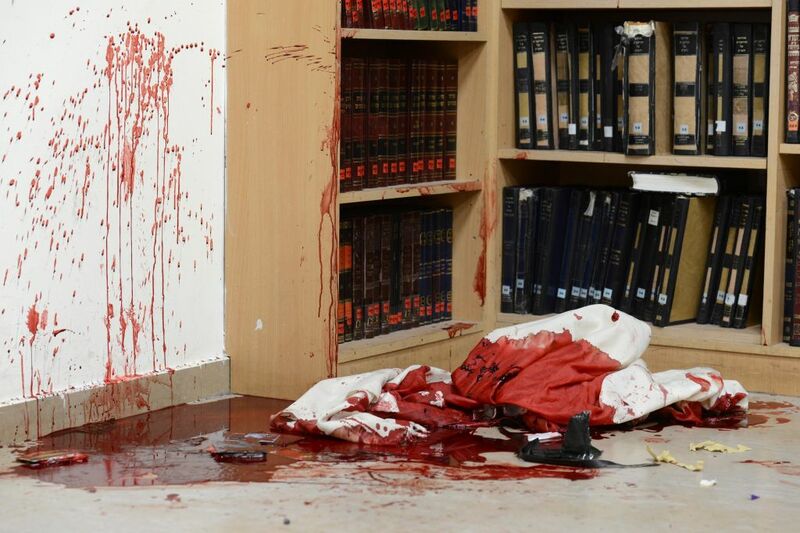 For some, the horrific images from the Bnei Torah synagogue, where peaceful scholars were hacked to death as they prayed, their blood drenching phylacteries and turning prayer shawls crimson, only encourages such fatalism. "The attack on the synagogue in Har Nof," wrote commentator Joel Pollak, sends the message that "Jews and Arabs may not be able to live together easily even in the same country." A New York Times analysis was bleakly headlined: "In Jerusalem's 'War of Neighbors,' the Differences Are Not Negotiable." For all the savagery of the terrorism that has sent so many innocents over the years to early graves, though, the funeral of Saif is poignant evidence that peaceful coexistence is not only possible in the Jewish state, it's a daily reality, woven into the warp and woof of Israeli life. Of course there are tensions, disputes, and resentments, just as there are in every imperfect democracy  and what democracy isn't imperfect? Yet Israel from the outset has risen to the challenge of building a society held together by centripetal forces stronger than the centrifugal differences pushing it apart. Indeed, the Jewish state's declaration of independence, proclaimed by David Ben Gurion in May 1948, explicitly implored the country's non-Jewish inhabitants to remain "and participate in the building-up of the state on the basis of full and equal citizenship." A great number did remain  including many thousands of Arab Druze  and went on to share in the blessings of Israeli freedom, democracy, and equality. It's still a work in progress, but largely a successful one. The small Jewish state with the notable Arab minority not only survives but thrives, the implacability of its worst enemies and the violent instability of its neighborhood notwithstanding. Yes, terrorism is a grim plague. Yes, the toxic Palestinian political culture that incites it is growing worse. All the same, Israel manages to stand out as an oasis of pluralism, respect, and tolerance in a part of the world not known for those qualities. 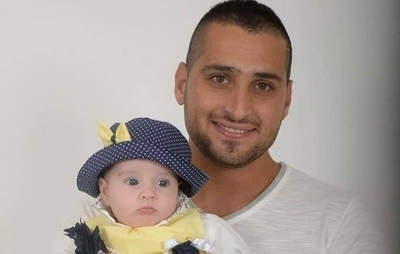 Israeli police officer Zidan Saif holds his baby daughter in a family snapshot. Saif was killed in the line of duty on Nov. 18, 2014. One of the strongest condemnations of the synagogue slaughter came from  of all people  Bahrain's foreign minister, who blasted the "killing [of] innocents in a house of prayer." 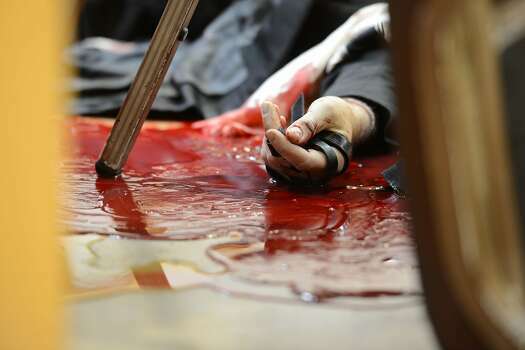 Khalid bin Ahmed Al-Khalifa warned sharply that "those who will pay the price for the crime of killing innocents in a Jewish synagogue and for welcoming the crime are the Palestinian people." It was startling to see such strong language from a senior Arab official, especially when many Palestinian officials were "welcoming the crime," quite exuberantly and openly. But as journalist Evelyn Gordon pointed out in Commentary, pragmatic Arab governments like Bahrain's know quite well that at a time when Muslims are being butchered and abused by fanatics across the Middle East, "mosques in Israel and the West Bank  including Jerusalem's Al-Aqsa mosque  remain among the safest places in the Mideast for Muslims to pray." That's no small achievement, even if the world does take it for granted. Terrorists may have killed Zidan Saif, but his memory will be a lasting blessing, for Jews and non-Jews alike.